Ah yeah... look at that big guy. 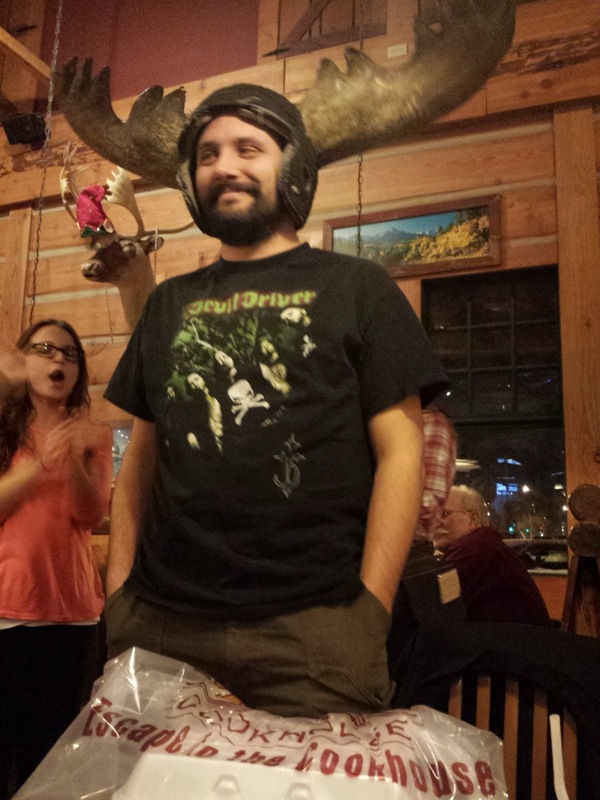 He's father, husband, programmer, comedian, storyteller, chef, bear hugger, snorer, moose (just look at those antlers) .... and birthday boy! Er... well... technically his birthday was yesterday, but we had dinner at Montanas with our awesome friends tonight. Logan was the photographer. I think he captured daddy's winning smile and easy going personality really well... not to mentioned Terry's mooseness. Happy Birthday to Terry! I love you babe!